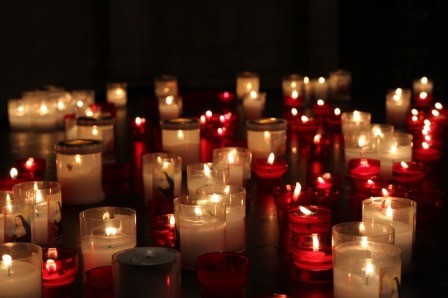 Candles are more than just a nice way to make the evening feel romantic. 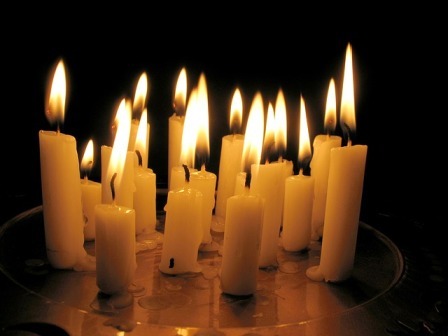 In many ways, candles are essential to our well being during the dark hours of winter. And making your own candles can be a great way to cut costs, become more prepared, and fill your time with a fun and rewarding hobby. If you’re not into DIY, check out these great options for candles at Amazon. Whether you live off grid and need the candles for light, want to use them recreationally for ambience or want to have them in storage just in case, then making your own candles is an easy way to provide yourself with something you will use for years to come. Candles can be stored pretty much indefinitely (as long as they’re protected from heat and/or rodents and pests), and you’ll even learn how to put used candles to use again. Making your own candles requires a low start-up cost and you probably have two of the three things you’ll need just laying around the house, taking up space and waiting to be used. Candles are extremely basic things. There are two basic ingredients: A wick and wax. That’s it. There are however, two different types of candles that can be made. The first is a candle in a container (glass jar), or taper candles. Taper candles are the tall skinny ones that go into candlesticks. The container candles are a little easier to make, and less time consuming. The container candles also store better, as they are more resistant to pests and basically can’t become misshapen due to exposure to heat. 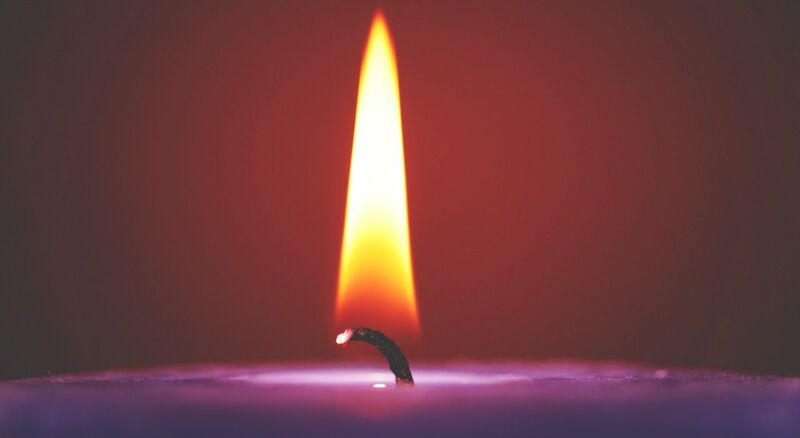 In order to make taper candles, you will need cotton string, some kind of wax, a long pencil (sharpened or unsharpened), a small pot, a heat source, and a small work space. Making candles can be a little messy, so make sure to cover your work space with newspaper or wax paper. To make container candles, you will need all of the above, as well as a fire-proof container made from glass, ceramic, or some kind of stone. The containers allow you to be a little creative, so be sure to look around at old jelly jars, mason jars, small flower pots (with no holes in the bottom), etc. If you’re really wanting to get fancy, feel free to get some food coloring and/or essential oils. A couple drops of coloring can make your candles match your décor, and the essential oils can give you a nice fragrance for next to nothing. Making Taper Candles is Easy. And You Control How Long and Thick You Want Them. But first, let’s quickly cover how to make taper candles. Taper candles are also sometimes known as “dipped” candles, because that is exactly how you make them. Basically, you’re going to take the wick, which should be made from cotton string, and dip it into melted wax over and over until you have the desired thickness of candle you’re looking for. One of the nice things about making taper candles is you can really determine for yourself how long and wide you want the candle to be. If you have a few candlesticks or holders around already, then the obvious choice is to make the candles to the diameter of the holders you already have. So, to make taper candles, the first step is to gather all your materials in the work space. Take the cotton string, and tie it around the pencil. If you have decided on a length you would like the candle to be, be sure to tie the string off before cutting it to length. If you cut the length you want, the know will take up some of it and you will literally be left short. Second step is to heat the wax. You can use many kinds of wax, but bees wax is the tried and true wax to use. Some people are using soy wax, and there are a variety of others out there, both online and in hobby shops. Choose a wax you like, and don’t worry too much about it. To heat the wax, you’ll want to use a double boiler, with the hard wax held in container, and placed into a pot with water. This allows the wax to melt without it getting too hot. A very important consideration arises at this point: Make sure your container is tall enough to make the height candle you’d like. If you want twelve inch long candles, then an old soup can is not going to work for you. Another aspect to consider with the container is that the more narrow it is, the less wax you will need to fill it. If you’re using a wide container, you will need far more wax than is necessary to make your taper candle. Third step in the process is ensuring you have a place to hang the pencil once there is wax on the wick. The thin layers of wax will dry rather quickly, but you don’t want to hold the candle the entire time. Plus, if you have a small stand made from cardboard, you can go do other things while the candle is drying in between dips. Now, you’re ready to dip the wick and start making a candle. This is the tough part, so pay attention. Take the pencil with the wick tied to it, and dip it in the melted wax. Repeat until you have a candle of the dimensions you wanted. That’s it. Taper candles look very nice, but they can be time consuming and laborious. However, don’t ever throw away the little stubs of your used taper candles. If you want to take the time, you can cut out the last little bit of wick and re-use the small stubs to make more candles. Candles that are in some sort of container have several advantages over taper candles, but it’s really up to personal choice. If you’re one of the people who wash and save all the jelly and peanut butter jars you have, then you’re probably dying to use them for some practical purpose. Or maybe you have bunch of jars with no lids. Or possibly you have some old coffee cups you don’t use. The point is that container candles can be made in any type of fire-proof container. Some of the steps of making a container candle are the same as a taper candle. You’ll want the same materials, except for the holder required to make taper candles. First, tie a string onto the pencil, about mid-way down the length. Try to straighten the string as much as possible. This may work better if you wet the string a little bit. Then, line up the string in the middle of the jar and trim it so that the end of the string barely misses the bottom of the jar. Make sure to clean the jar well and thoroughly dry the inside. If you want, you can tape the pencil in place on the edge of the jar, but once you start pouring wax in, the string will hold the pencil in place. Melt the wax in the double boiler, and add any coloring or scents you’d like. If you’d like, you can try to find a container to melt the wax in that will hold all the wax you’ll need. But if you have a large jar to make the candle in, this may be difficult. Don’t worry, doing more than one pour to make your candle is not a big deal. When the wax is melted, hold the pencil in place so that the wick is roughly in the center of the jar all the way from the top to the bottom. Slowly pour in the melted wax, and then wait for it to cool. A large jar may need to cool over night. When melting the wax, be sure to go only as high in temperature as you need to to melt the wax. If you make the wax too hot, it will contract when it cools, and leave you with a big funnel of empty space in the middle around the wick. It’s okay if this happens, just melt some more wax and fill it in. But if you’re making fancy candles or gifts, this may be unsightly. One way to make nice looking container candles in a clear glass jar is to make multiple layers of color. If you make several pours while letting each layer cool overnight, then you can turn a plain jar into a really nice looking piece that can be kept out on a coffee table. You can also scout junk shops for interesting old jars or unique pieces of ceramics. Making your own candles is a cost-effective way to make your home brighter and safer, while using up old stuff you probably had laying around the house. It’s up to you to decide if you want taper candles or container candles, but be sure to take into account what you have at hand. These candles will help in an emergency and will last pretty much forever if you store them in a cool, dry place. Just be sure you keep plenty of matches around just in case.